Iv'e already posted two topics, but I just wanted to introduce myself, and ask some crab questions. I have two purple pinchers, Sheldon and Sandy. I have a ten gallon, and as soon as I had got that new big tank and filled it with coconut substrate (before I had a three gallon with gravel) Shelldon, who had previously in my 3 gallon already shown many molting signs, burrowed down and disappeared. Now Sheldon had not been the healthiest crab when I got him. Of, course, as a completely new crab owner, I had no Idea what a healthy crab was from a unhealthy one. Now it has been exactly 2 weeks, and I'm getting worried! Is Sheldon okay down there? Or is he dead? Should I dig him out? Now back to Sandy. He rarely comes out to play. Now he stays in his cave all day. I've heard people say that that has to do with humidity levels, but my humidity seems fine. Could he be lonely? Princess R. wrote: Iv'e already posted two topics, but I just wanted to introduce myself, and ask some crab questions. I have two purple pinchers, Sheldon and Sandy. I have a ten gallon, and as soon as I had got that new big tank and filled it with coconut substrate (before I had a three gallon with gravel) Shelldon, who had previously in my 3 gallon already shown many molting signs, burrowed down and disappeared. Now Sheldon had not been the healthiest crab when I got him. Of, course, as a completely new crab owner, I had no Idea what a healthy crab was from a unhealthy one. Welcome! First rule of crabbing - never dig them up. Unless there's a flood or bacterial bloom. Molting crabs can stay under for months. Do you have a temperature/hygrometer gauge? A digital one is beter than the dial ones, which are highly inaccurate. Your temp should be 80° and 80% for humidity. What kind of lid do you have? It needs to be sealed to keep in the humidity. The substrate should be a minimum of 6 inches and sandcastle consistancy. The fresh and saltwater pools should be deep enough for them to totally submerge with a safe way to get out. Are you using dechlorinator? What food are you giving them? You can look at the food charts and safe food and unsafe food lists on here. If you do decide to add crabs you will need a bigger tank. Hi there, welcome to the HCA! I agree with Hermiesguardian. Digging up a crab can cause it to put off its molt until it’s able to rebury or if it’s in the middle of shedding, it can cause the crab to stop molting and that can be fatal. Digging can not only destroy the molting cave but also collapse established tunnel systems. Most people here don’t want to risk harming their crabs during this stressful and critical time. I have a crab that is down molting right now too and I know the best thing to do is to leave her alone. She will surface when she decides it’s time. Your crab is perfectly fine underground. He will build himself a little ‘molting cave’ after tunneling around for a few days and as Hermiesguardian stated, you may not see him for months. That's about all that I feed them. And, by the way, I should have mentioned this before. I have purple pinchers, and I got them from The Aquatic Critter. And I do give them declorinated water, and I have two large water dishes. one for salt, one for fresh. First, a lot of people will recommend you increase your substrate levels to six inches and mix in play sand. This is very important for molting. There are concerns that straight EE won’t hold very well when the crab builds its molting cave. Second, it is also very important to provide your crabs with an animal protein. So you can and should provide them with meat. Another thing is your heat mat. A lot of people here use Ultratherm or Reptile Basics. The tank is another thing. People here consider 10 Gallons too small. I have my two crabs in a 20 Gallon. Thanks. Before I had a three gallon, though, with gravel for substrate. So when I was more experienced in crab care, I bought the eco earth. But if I can't afford anything else to buy for the crabs, would eco earth still work on it's own? Welcome to the HCA! 6" of substrate is what we recommend as a minimum as it allows crabs to dig for fun as well as give them adequate room for molting. If one crab is digging and comes across a molting crab it will eat the molting crab, as they become very soft and vulnerable during this time. Eco Earth is fine on it's own, however it is expensive! Many mix Eco Earth and playsand together in order to get their substrate to an ideal depth and consistancy. Playsand can be bought at stores such as Home Depot or Lowes for a cheap price - $5 for a 50 pound bag! Good luck, and happy crabbing! Welcome! Were you previously using a different username? No, I wasn't. I've written some posts in the past, but not very many. I am still figuring out how this website works- I may need a little help here and there. Is there a sheet I can find here that helps new people learn how to learn about using this website? Princess R. wrote: No, I wasn't. I've written some posts in the past, but not very many. I am still figuring out how this website works- I may need a little help here and there. Is there a sheet I can find here that helps new people learn how to learn about using this website? Honestly the easiest way to use it would be to download tapatalk on your phone. It helps streamlines forums and make them much easier to use. 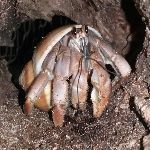 Once you download it you should be able to add a group and just search for "hermit crab association" and add this one to your groups and be able to post here and search the various forums with ease from your mobile device.